Fourme d'Ambert is our most popular French blue cheese due it's wonderful creamy texture and perfect balance of blue flavours in the cheese. Fourme d'Ambert dates back to the Roman period, making it one of the oldest of the French cheeses. 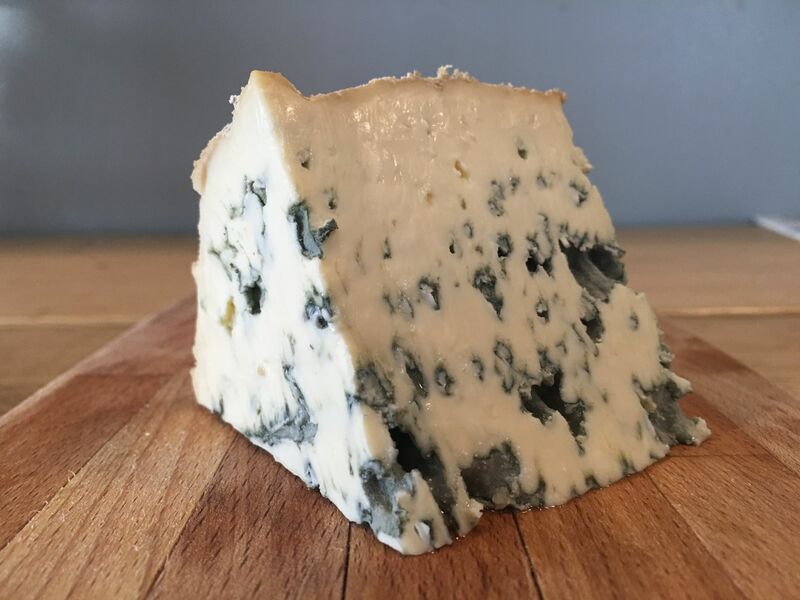 It's an absolutely beautiful blue cheese with a lovely smooth, soft texture and refined blue flavour. 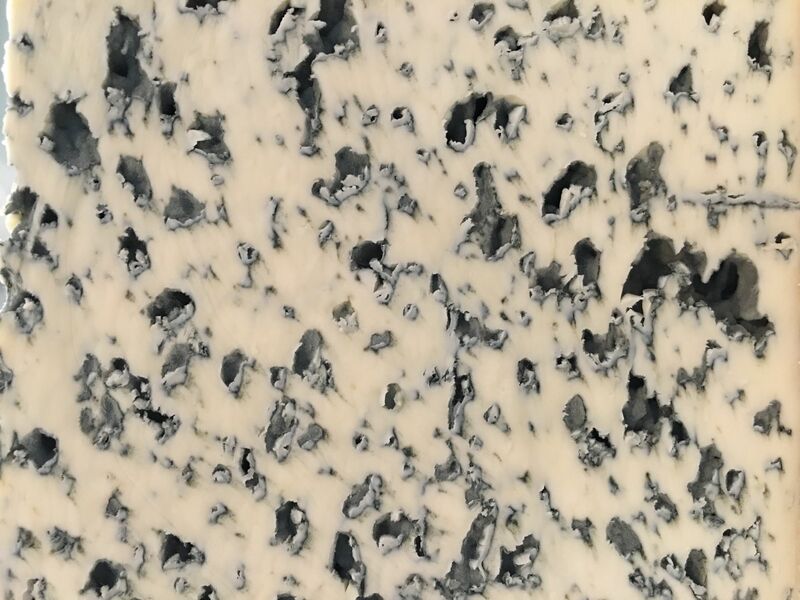 It's no surprise that Fourme d'Ambert is often referred to as the 'connoisseurs blue cheese'. While it has a full blue flavour, it's more subtle than many blues and the flavour builds slowly rather than hitting you straight away. We like this with a sweet wine rather than port as the lighter blue flavour works well with a sweet wine. We also use it in our toasties with fig jam and it's a real customer favourite in the cafe. 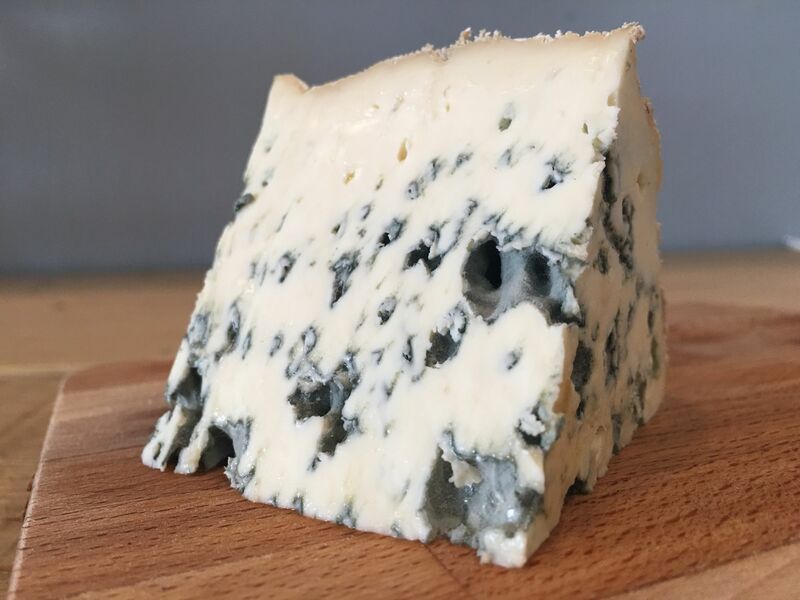 We find that even those customers that aren't keen on blue cheese can still enjoy Fourme d'Ambert. The differences between Fourme d'Ambert that's hand made the traditional way and mass market Fourme d'Ambert are astounding. 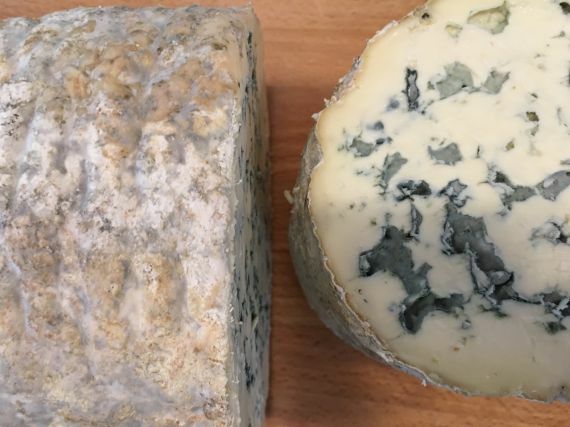 The mass market version has a slightly rubbery texture and sharp blue flavour, whereas the traditional version has a creamy, crumbly texture with a beautifully rich and balanced blue flavour. 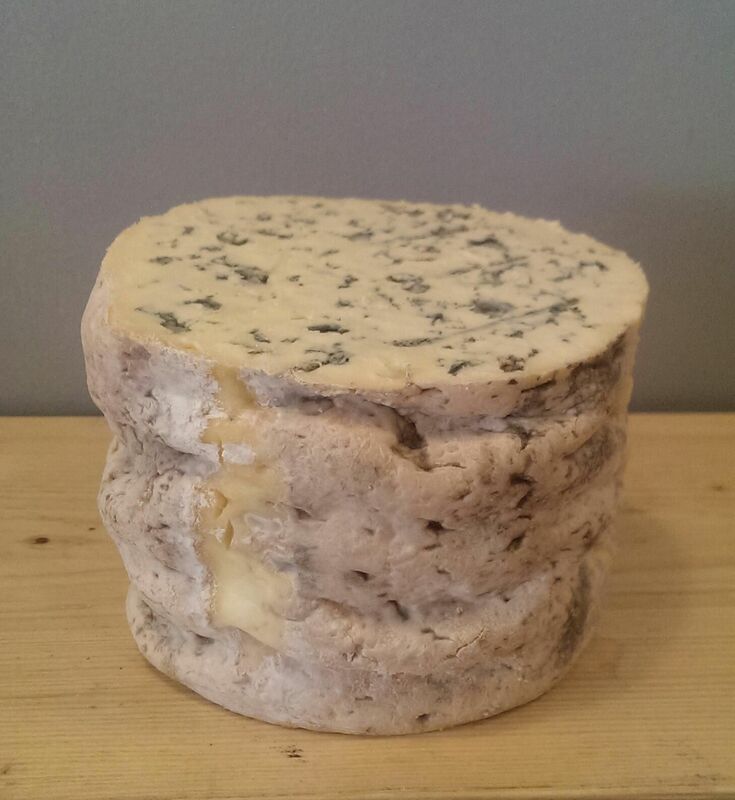 Fourme d'Ambert is great on a cheeseboard or also in a toastie with fig jam, a hugely versatile French blue cheese. This cheese is not recommended to eat during pregnancy. 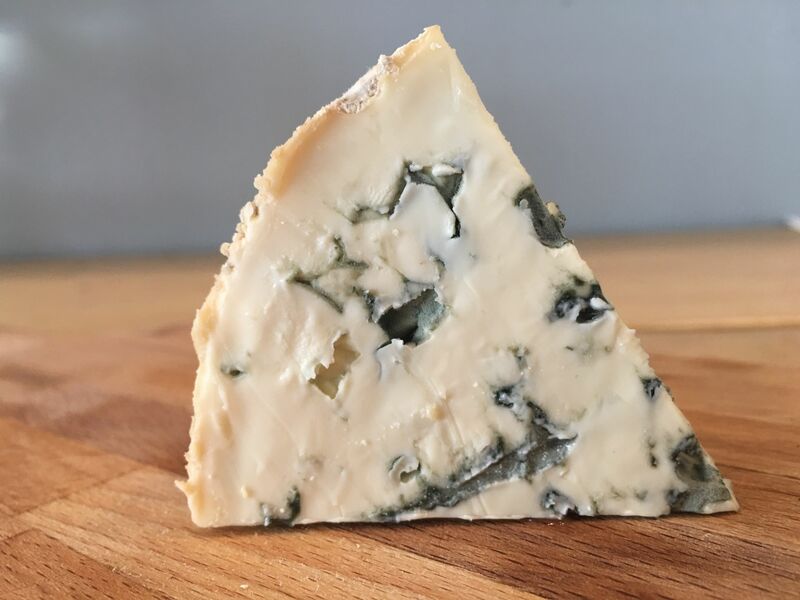 Cashel Blue is a deliciously creamy, slightly salty blue cheese from County Tipperary in Ireland. Rich and buttery, a classic English Stilton and still one of the finest cheeses available. Langres is a semi-soft, totally delicious and strikingly beautiful washed-rind cheese from the Champagne region of France. © Copyright 2019 The East London Cheese Board - the best of British cheese. Built by The East London Cheese Board - the best of British cheese. Powered by Airsquare.